Top officials are being trotted out to reassure investors after a near-25 pct stock slump this year. “Spring” is not far off, they say; a deleveraging campaign is already on hold. This is all in Beijing’s playbook: if markets keep falling, more active policy support comes next. People's Bank of China Deputy Governor Yi Gang attends a conference during the 2016 IIF G20 Conference at the financial district of Pudong in Shanghai, China, February 25, 2016. 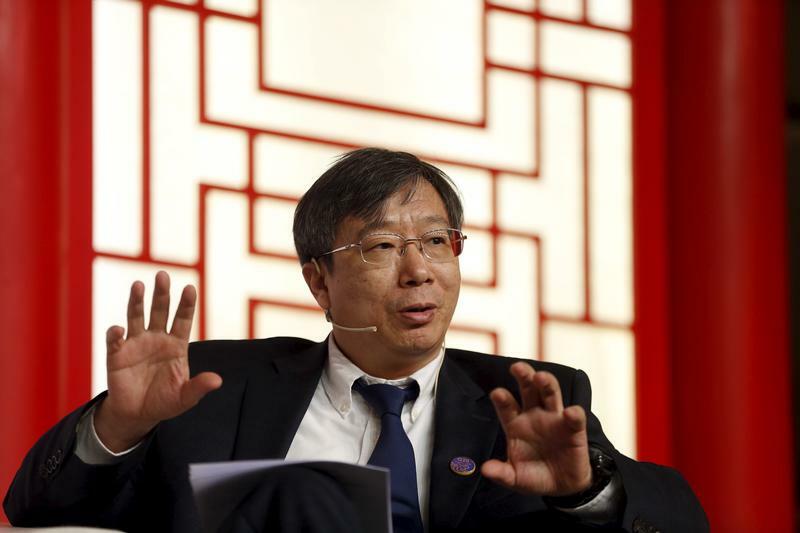 China’s central bank governor, Yi Gang, said on Oct. 14 that the country still has “plenty of room” for monetary policy adjustment, including further lowering the amount of funds banks must hold as reserves. He said the economy is on track to reach the government’s full-year growth target of around 6.5 percent. China’s head stock regulator, Liu Shiyu, told investors at a meeting that their legal rights and interests would be protected, according to a statement posted on Oct. 14 to the website of the China Securities Regulatory Commission. Securities Times, a financial paper, reported that Liu said that “spring” is not far away.